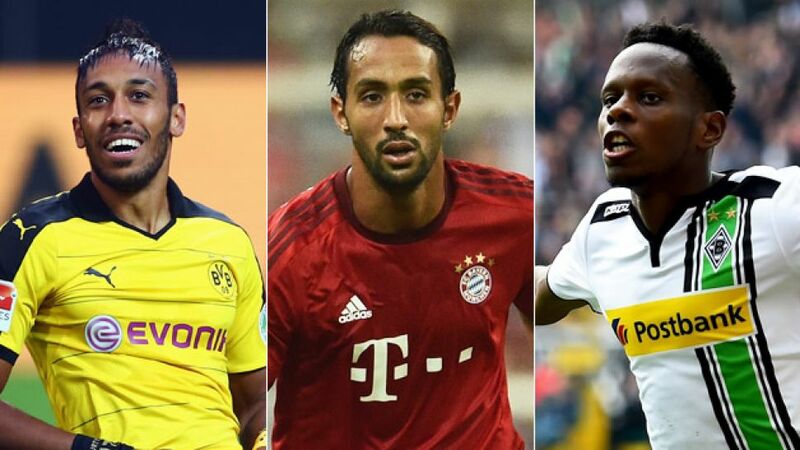 Cologne - Borussia Dortmund star Pierre-Emerick Aubameyang, FC Bayern München defender Medhi Benatia and Borussia Mönchengladbach winger Ibrahima Traore have been shortlisted for the 2015 African Footballer of the Year Award. After scoring 11 Bundesliga goals in the second half of 2014/15 and representing Gabon at the African Cup of Nations, pacey forward Aubameyang has enjoyed a sensational start to the new campaign. The 26-year-old has found the net in all eight of Dortmund’s league games this term so far, and having also notched on the final two Matchdays of last season could set a new Bundesliga record by scoring in 11 consecutive games when BVB travel to 1. FSV Mainz on Matchday 9. Bayern's Moroccan defender Benatia is also in contention for the prize after helping the Bavarians to a third straight Bundesliga title in 2015, as is Mönchengladbach winger Traore. The Guinean made a major contribution as the Foals qualified for the UEFA Champions League by finishing third in 2014/15 and has scored twice in nine appearances this season.